B. 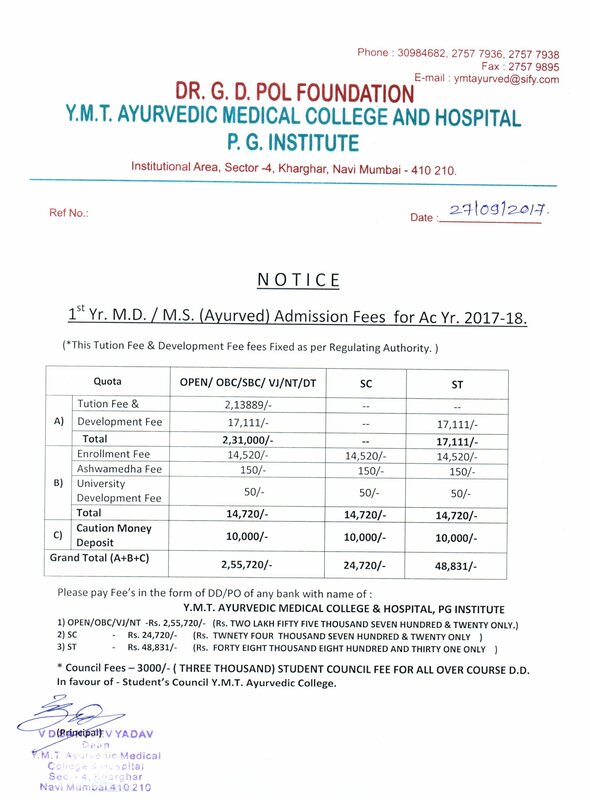 A. M. S. (Bachelor of Ayurvedic Medicine & Surgery) Bachelor of Ayurvedic Medicine and Surgery is a degree level course designed and controlled by Central Council of Indian Medicine, New Delhi [CCIM] and approved by AYUSH Department of Ministry of Health and Family Welfare. Our college is affiliated to Maharashtra University of Health Sciences, Nashik and is recognized by State Govt. of Maharashtra. This course is designed to produce graduates with a profound knowledge of Ayurved and relevant study of Modern sciences. They would be competent practitioners in all branches of Ayurved as well as efficient Teachers and Research workers in various fields. This will enable them to contribute to the health needs of India in effective way. Duration of Course Main course – 4 and 1/2 years + Internship training programme – 01 year (6 months Urban & 6 months Rural). Degree to be awarded The successful candidate is awarded degree of Ayurvedacharya (BAMS – Bachelor of Ayurvedic Medicine and Surgery) by Maharashtra University of Health Sciences (Nashik) after passing out the 4 & 1/2 yr course and completion of 01 yr. Internship Training Programme. Medium of Instructions Sanskrit, Hindi, Marathi and English. Mark list and rank certificate of entrance examination. Certificate of Nationality & Domicile. Physical fitness certificate as per norms in the prospectus of Government entrance examination.